Helps the skin to lock in water, cleans the skin, improves skin problems, soothes and repairs the acne skin, makes the sebum ooze evenly, improves the facial shine, and the skin is soft and flexible. Glow mask (Rose petals) act as an excellent sunblock as it have a rich amount of vitamin C. The natural oils found in glow mask help retain moisture in the skin. This results in your skin feeling smooth and soft. Tiredness, Irritability, Stress are signs of heat build up within the body. Along with these are usual fatigue conditions like redness of the eyes, dry eyes, headaches etc. that leave us rather disturbed. - Helps in deep cleansing of skin pores. - Helps remove dead cells from your face and neck skin. Our company has achieved laurels in offering Quenching Mask. Experience the extraordinary process of cleansing the face with R.K’s 24K Gold Face Mask that draws out impurities. Removes residues and leaves a pleasant sensation of freshness right from the first application. It restores glow, smoothens the skin and helps it towards a luminous appearances. skin revealing radiant and fresh looking skin. Insto face pack enriched with kesar and niacinamide (vitaminb3). It promotes exfoliation of dead cells to reduce the dullness of facial skin. it uncovers the facial skin to provide firmness and natural glow. 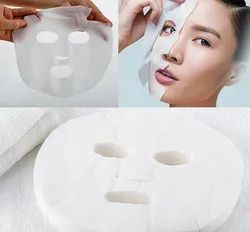 We offer Facial Mask. It nourishes skin, increase blood circulation, traps deep rooted impurities & debris, making skin silky, smooth and fresh. Its natural herbs help in removing blemishes and pigmentation, giving your face a bright radiant and dazzling look.